The South African bushveld is a magical place, quite different from the natural wilderness areas found elsewhere the world that are still pristine and untainted by eco unfriendly human activities. Besides its immense diversity of unique indigenous people, fauna and flora, our bushveld has an atmosphere and vibe that you won’t find in another country or region. Limpopo’s bushveld, particularly that of the Waterberg area in which our private game lodge is situated, is a feast for multiple senses – sights, sounds, and smells. 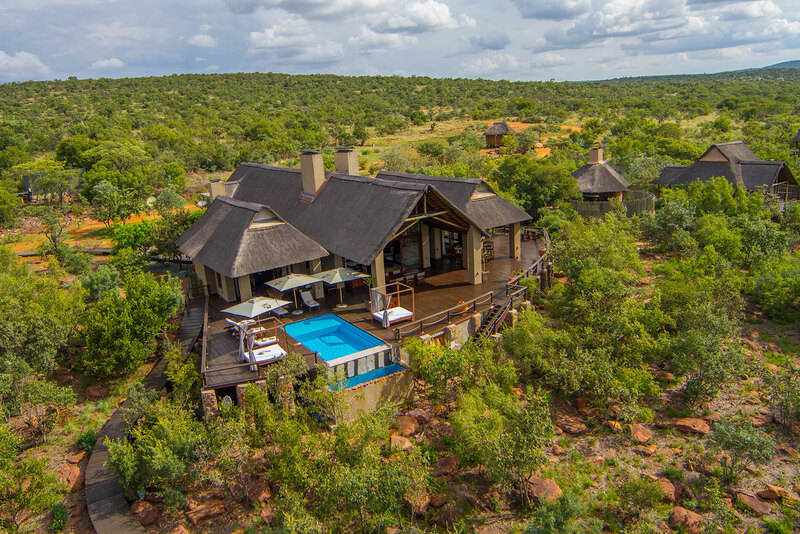 Visitors to the lodge, Fifty Seven Waterberg, are both surprised and delighted to find such lovely 5-star luxury bushveld accommodation here in this area, with its ancient landscapes and iconic natural features which can be seen across this terrain that’s as old as time itself. It is suspected that mankind’s primitive ancestors may have lived in the Waterberg area some 3 million years ago. This speculation is based on the remains of skeletons unearthed at Makapansgat, less than 50 km away from our section of the Waterberg. In the same location, there is also evidence of later Homo erectus’ occupation. These forebears may well have migrated to the cooler, more elevated Waterberg regions during hot summer months. Later still, approximately two thousand years ago, Bushmen dwelt in the Waterberg, inadvertently leaving their rock paintings as evidence of their erstwhile presence. Early Bantu iron-age people herded their cattle into the area, causing depletion of the grasslands, which in turn resulted in tsetse fly infestations and the occurrence of sleeping sickness. Tsetse flies and the sleeping sickness they once spread here are long gone. Although the mere absence of this disease may have represented luxury long ago, bushveld accommodation at Fifty Seven Waterberg gives new meaning to modern, world-class luxury. 5-star, boutique-style, private bushveld lodge accommodation. 5 supremely spacious suites – each one occupying at least 80 square metres, overlooking the breathtaking Waterberg bushveld, from within and from the suite’s private patio or deck. Individually designed en-suite bathrooms, elegant furnishings, and understated African décor elements. A maximum of 10 guests ensures that the peaceful serenity of the natural bushveld is maintained, whilst we’re able to provide our guests with the luxury of outstanding personal service levels. 5-star cuisine – full English breakfast, appropriate lighter lunches and delicious dinners are included in the tariff. Our lodge is located in a Big-5 private bushveld reserve, situated within the larger Welgevonden Reserve, which forms part of the UNESCO Biosphere Reserve. Guided game drives, twice daily in an open vehicle, give our guests the best opportunities to view the Big 5 and other fauna (and flora) indigenous to our bushveld terrain. Use of the luxuriously appointed main building guest lounge area, expansive deck and sparkling, clear-blue infinity swimming pool that leads your gaze across the green treetops to the bushveld savannah, distant blue hills and your imagination into infinity. In a nutshell, that’s Fifty Seven Waterberg, your luxury bushveld accommodation, and your special corner of wilderness paradise.